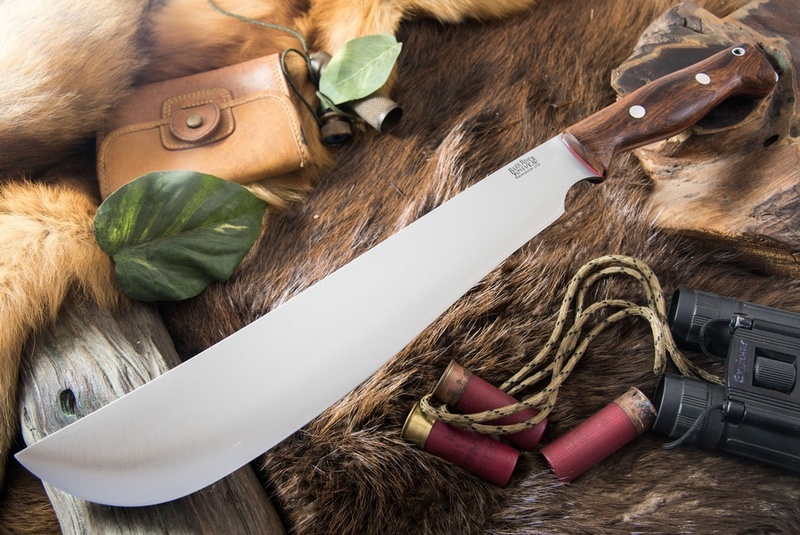 A Machete made with CPM 1V, with a Bravo handle! These are some of the very best Machete's you can buy, they have a superb design which starts at the excellent Bravo handle, a handle which excels at comfort and security of grip, then it has a choil for close work, a 0.125in blade stock for excellent cutting, a 12in weight forward blade. 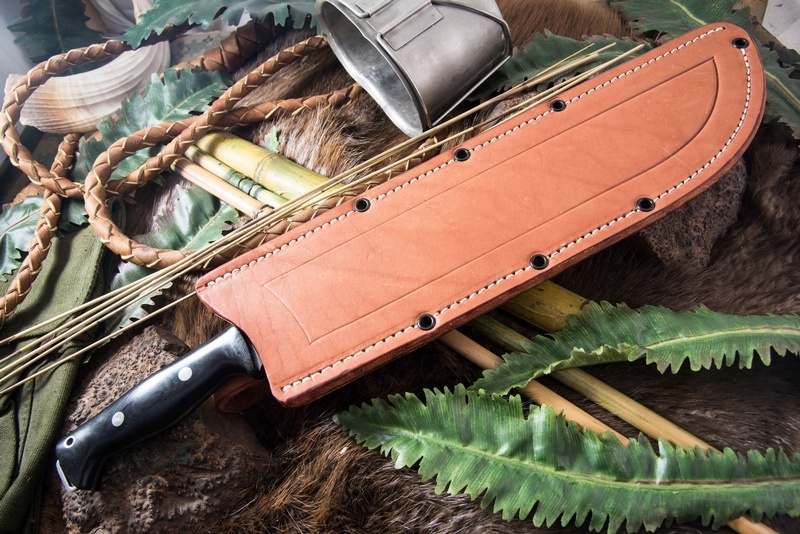 Comes with an excellent leather sheath, see pics for details. Overall Length: 17.5" Blade Length: 12" Blade Height: 2.2" Blade Steel: CPM-1V Blade Hardness: 58HRC Blade Thickness: .125" Weight: 16.1oz. Purchase through PayPal by using the "Add To Cart" button above or use the form below to order the Barkriver Bravo Machete CPM 1V Desert Ironwood Red Liners . Feel free to contact us if you have any questions about the Barkriver Bravo Machete CPM 1V Desert Ironwood Red Liners .